Score. 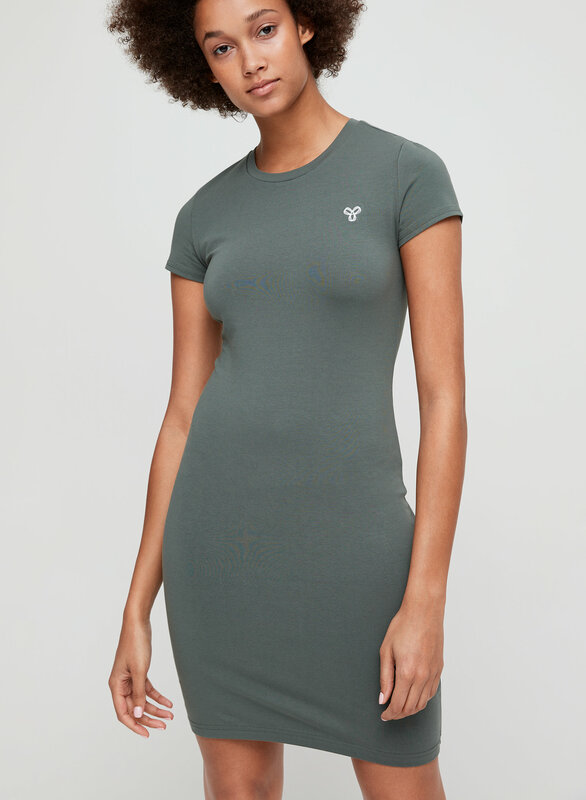 This is a bodycon t-shirt dress with cap sleeves and a high crew neck. 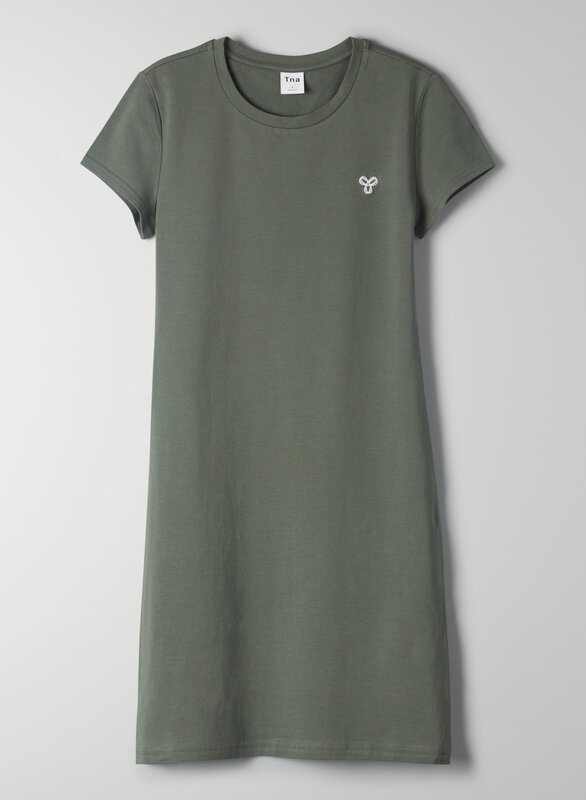 It's made with Aurant™, Tna’s signature high-stretch fabric.